Appearance matters. The way you maintain your home is the first impression of yourself to many people. 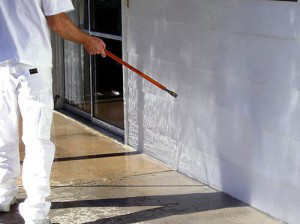 Ongoing exterior maintenance will keep your home in beautiful shape for many years to come. Routine maintenance such as caulking can prevent weather stripping, whereas cleaning gutters and putting up Holiday lights are annual festivities. Hedge trimming and pressure washing keep the home looking nice and well maintained. From dry spots to undesired lakes in the yard, repairing broken sprinkler lines and heads is a simple solution to seemingly larger problems. My Handyman OnDemand is available to tackle all your outdoor tasks, allowing you the most direct reflection of pride and ownership.